Bambo plants are much preferred, but if there is no treatment, then bamboo easily spreads even where it is not desirable. Well, if you have this, of course, you have to get rid of some bamboo plants. This is the hardest thing to kill bamboo and get rid of it. If you experience this problem, read in my article because I will give tips and how to get rid of bamboo. 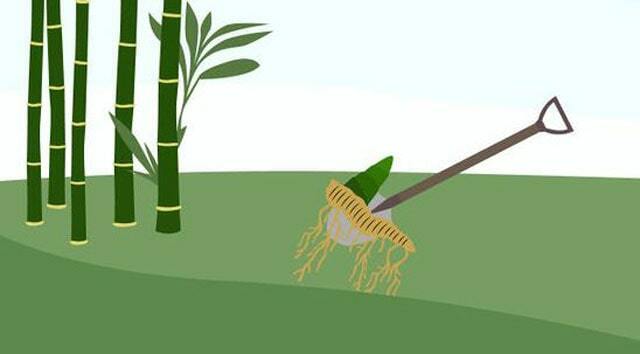 To remove bamboo you must use a shovel and dig the roots and throw them away. Look at the clump and dig with a shovel or hoe. This takes natural time so you have to be patient in eliminating bamboo trees from your yard. Using a herbicide is not effective so you need your effort and energy for this. 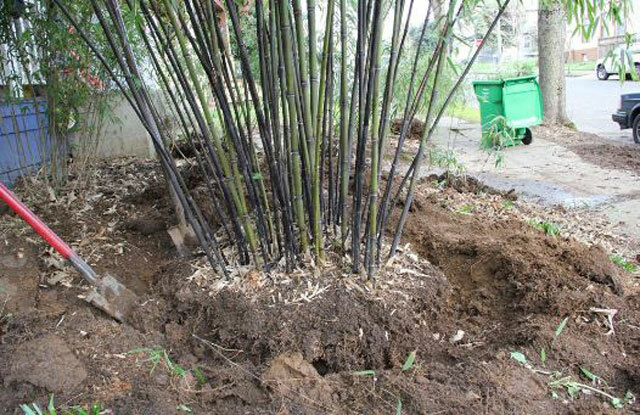 Dig and remove bamboo roots as much as possible. Your efforts are not just here, the spread of bamboo roots allows it to grow back. You must pay attention to new tubers that appear and immediately kill them or cut them for vegetables. Do it regularly when you see baby bamboo appear. Getting rid of bamboo can be done in two ways. You can use traditional methods, this way you must immediately dig out bamboo shoots that appear. If not, then bamboo will spread easily again. It takes a little to your craft until bamboo shoots really don’t grow anymore. In addition to digging, you can also use hot water and sprinkle it on a new bamboo shoot that appears several times. This is effective for getting rid of bamboo at no cost. However, if you use chemicals or herbicides, use the strongest herbicide you can buy. Every time you see a bamboo shoot emerging from the ground, immediately spray it with the chemical and do it regularly. If using a moving technique, cut the bamboo as close to the ground as possible so that it dies quickly. If possible you can dig a little to then use a machine to cut from below or near the ground. Whatever technique and method you use, killing and removing bamboo takes a long time to find out that it really is no longer polluting your yard. How to prevent the spread of bamboo from neighboring pages is important to know so you can do it from now on. Killing bamboo from the yard itself is easy to do even though it takes a long time. However, it is different if this bamboo spreads from our neighbor’s garden in our field. To prevent the spread of bamboo to your garden, make a barrier or fence. If you make a fence you have to dig the bottom and fill it with cement. You can also use iron and dig about a few feet down and the top surface of the soil must also appear about 6 inches. It is better not to use wood as a barrier because over time it will be destroyed.